The Anthology of Poems that I published has taken so long, to get to that very final but vital stage. 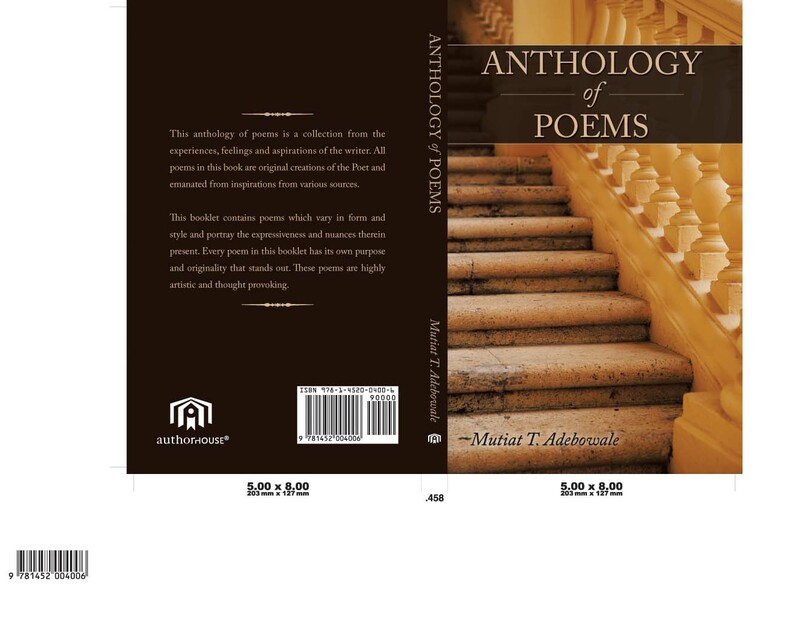 The book has a compilation of poems written by me-Mutiat Adebowale and are very artistic as well as thought provoking.They are poems for lovers of simple poetic thoughts and analysed based on general poetry standards and judgements. The poems are of different forms and styles, ranging from free versed to blank versed poems.Ballads,Epics,odes,sonnets and so on.